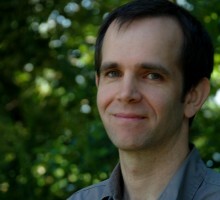 Rob Manning is a reporter and producer at Oregon Public Broadcasting. He covers education, environment and local government. Rob got his start at OPB as host of Morning Edition in the summer of 2002. Previously, Rob contributed freelance print stories to Planning Magazine and Willamette Week, and worked as a reporter and producer for Free Speech Radio News. He learned radio at community radio station KBOO in Portland. Rob was part of the reporting teams that won a Peabody Award for "Hard Times" and a Harry Chapin Media Award for "The Hunger Series." Rob also won two investigative reporting awards, and has received multiple honors for his education series Learning With Less. Rob graduated from Pomona College with a concentration in anthropology and music. What if one culture shares multiple languages? That’s a challenge Oregon is taking up with its Somali students. In Portland, Oregon, the Somali community is more mixed than in many other cities in the US. Careful not to leave one part of the culture out, the city now offers a program featuring two Somali languages. In eastern Oregon, the families least likely to know about college-opportunities were immigrant families — one of the area's fastest-growing demographic groups. Oregon voters will decide next week whether to ban bilingual education in favor of fast-track English learning classes.